Black: Black is extremely well-rounded. You can make it do basically whatever you want. However, its unique skill involves manipulation of the game as a whole. If you enjoyed playing black/blue control for Magic, this would be worth a shot. You'll definitely be playing for the long-term though, reducing your opponent to a shriveling wreck before you just casually walk your way to victory. I cannot recommend this for just starting the game. To play it as an actually manipulative style requires a lot of game knowledge. It does have a mastery that gives a bigger damage benefit than any other mastery, so even if you just throw in a bunch of attacks, you can be ok. Recommended personalities: As I said, the style is tremendously well-balanced. You can play just about anyone here and do well. For the sake of naming names, Krillin was designed to work with Black. Notice how levels 1-3 all favor a discard strategy. 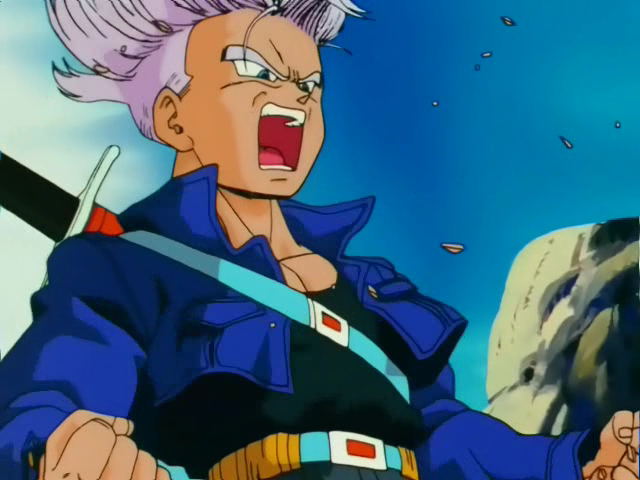 Trunks is also all about deck manipulation, which goes a long way toward controlling the opponent. Piccolo at level 2 passively destroys the opponent's deck while rejuvenating your own, exceedingly useful when this style is used defensively. Blue: Blue is very much the "come at me, bro" style. The mastery gives you a ready defense for each Combat, and increasing your anger in the process. There are many cards in Blue that trigger when they are discarded, comboing not only off of your mastery's effect, but also if your opponent does it to you (take that, Black). This is a very strong color for an ally theme, with effects that play allies and others that let you pay any number of stages (conveniently making you weak enough that your allies get to work for you), only lacking in abilities to give power stages to your allies. It has multiple attacks as Setups, which will effectively be as good as extra cards in your hand for one big combat step. It even has a fair amount of tools for you to opt as a more defensive, Dragon Ball-focused deck. Recommended personalities: The Ginyu Force has been the highlight of this style so far. I can't say I blame anyone for doing it. There are plenty of tools for making that work effectively, although Blue notably lacks any means of giving your allies power stages. The hero equivalent can work well with Krillin, too. You'll easily reach level 2, which then can quickly drain your power stages so your allies can do things. 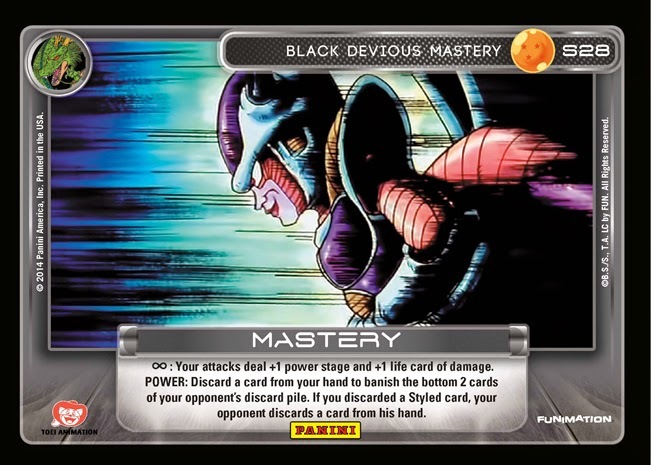 Frieza takes advantage of the mastery's built-in defense for level 1/3 and Blue's desire to discard certain cards with level 2/4. Namekian: In the old game, Namekian was a joke. That has definitely changed this time. Namekian is capable of winning with all 3 methods easily. You'll want to run a full set of Dragon Balls with this style just on the basis that a large amount of cards are powered by them. The mastery lets you just skip combat to get anger, forcing your opponent to do something against you quickly. When they do, you have so many rejuvenation effects to trigger your mastery that your opponent will have a hard time keeping you down. To make matters worse, you can hit about as hard as any of the other styles at the same time as you're getting back this crazy amount of health. This is all balanced by your restriction to (at this moment) 2 main personalities, but either one still works very well here. Orange: Whereas Black is focused on reducing your opponent to a shriveling mess, Orange is more concerned with building up a solid base, mostly with drills. Your mastery keeps the drills from ever going anywhere, and the color as a whole has plenty of ways to get your drills out. You might have to play a bit defensively while getting out your base, but once you do, you're going to be a solid tank. Energy is definitely preferred here vs. physical attacks. Recommended personalities: This is Goku's place, all the way. Everything Goku does involves drills. The faster you can get your full array of drills in play, the sooner you can proceed to beating face. Failing that, characters with energy attacks will definitely be welcome. Red: Red has a long tradition of having the biggest anger effects and the biggest physical punch. The first mastery of the old game was extremely overpowered for anger, but other styles got buffed sufficiently to deal with it later. The second mastery became a big staple for physical-based decks. This time, the mastery is more of a "win-more" card, rewarding you for already doing well. That means the focus has to be more on your deck, while the mastery's along for the ride. There's definitely a lot of effects here that increase your anger, but certainly not enough to bring back Red's glory days. 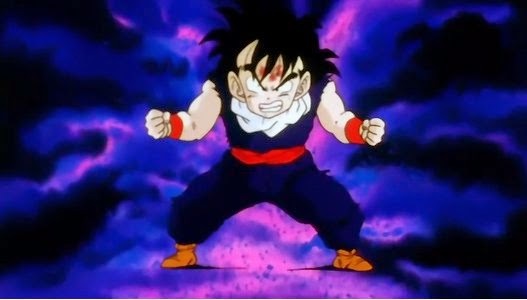 Instead, Red makes a point of using your anger as a resource, making you pay anger for various powerful effects and just generally checking your anger level like Saiyan checks your power level. Additionally, anything that lets you use a critical damage effect is as good as increasing your anger (even if it already increased your anger in the first place, like Red Blaze). Recommended personalities: Vegeta and Frieza are strong candidates for this style, although basically anyone can use it well. 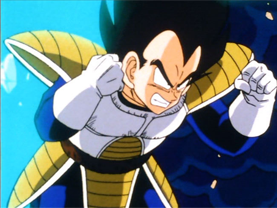 Vegeta is clearly very aggressive, demanding a large amount of attacks that raise your anger. Frieza plays the more defensive end, preferring a lot of blocks to advance his anger, and if those blocks aren't necessary, using them as discards for mirror attacks. Saiyan: For all the Zerg rush & Super Saiyan fanboys out there, this is that style. Saiyan relies on you just naturally being powerful and taking advantage of it. You forfeit the level victory, but you get so much more natural power that you can just rush forward. Even your defenses act like damage! 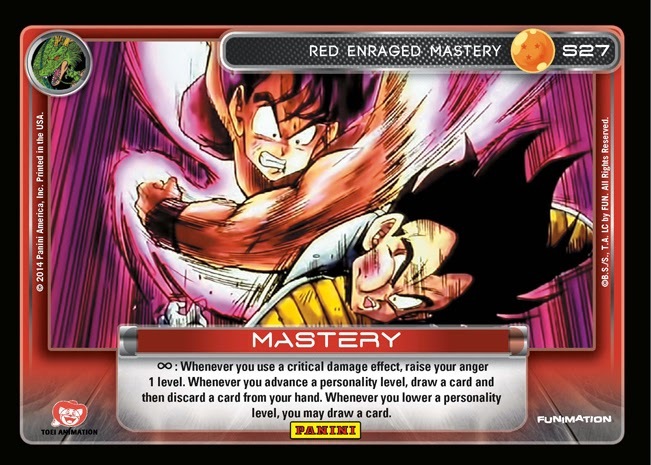 If you run Gohan with this, obviously your power level is not going to be so naturally high, so you might want a bit more emphasis on energy. Making a deck with Saiyan will probably be the easiest thing you have to do. You don't need to run many blocks, though you definitely don't want to be completely defenseless. Recommended personalities: Basically any Saiyan can use this style well. Vegeta definitely thrives on it, though he's actually the second weakest Saiyan so far. Vegeta & Trunks should work pretty similarly for deck design, but Gohan & Goku will need a bit more imagination. Goku needs drills to truly take advantage of his abilities. Gohan, being the small child of the group, won't benefit as much from "superior power" effects, and will probably need to work more on the energy route. That would therefore also mean a bit more defense from physical attacks. How you play each of the styles is probably the first issue you'll face, but what if you're more determined to go the other way around? 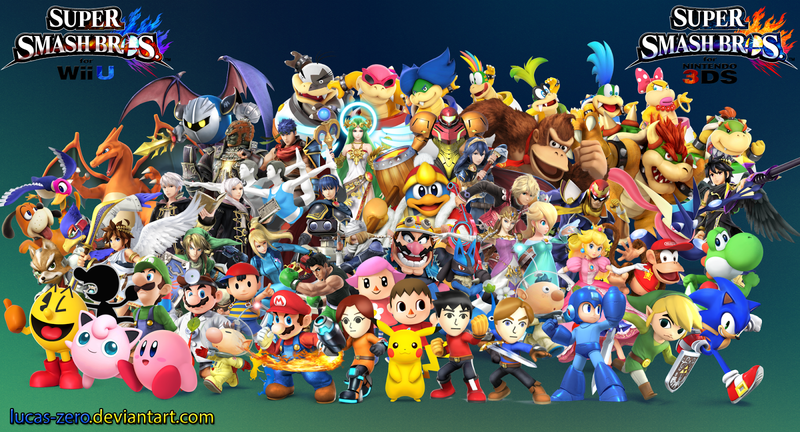 What if you want to best utilize the main character's abilities? How would you design a deck to go with that? 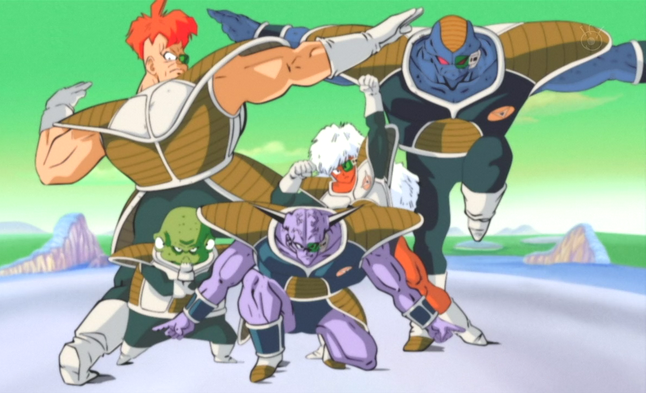 Captain Ginyu: Ginyu definitely needs to get his whole crew into play. You don't necessarily need to go Blue for this, but it doesn't hurt. Between Overpowering Attack and Ginyu himself, getting your allies won't be much of a problem. You don't even need to reduce your power level so that they can work. His level 1 attack is already expensive with your low power level, and level 2 will accelerate you to level 3 very easily. If anything, Blue is probably overkill. Everyone loves Blue Ginyu, but Blue lacks any means of giving you power stages. That can be rather crucial for all your allies. Orange & Black have plenty of options for you there. They have their own disadvantages, though. Orange is already very reliant on non-Combat cards. Loading it up with more in the form of your allies will make your deck even less functional. Running with Black, you lose a lot of valuable slots that would otherwise enable black to work its manipulation magic. It doesn't have a lot to support it really going for legitimate survival except for its mastery (+1 stage & life for each attack is not insignificant). Going Red, you could take advantage of his level 2 giving you mad anger and repeated use of Jeice also giving you anger to try rushing for the Most Powerful Personality Victory. 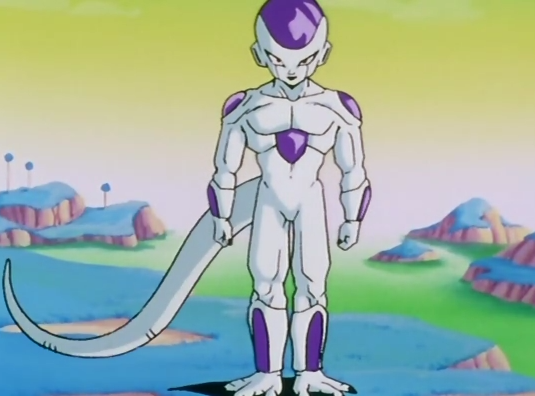 Frieza: Frieza is definitely the most defensive character of the crew. You're encouraged to block, a lot. This gives him arguably more anger possibilities than any other character, which makes the Most Powerful Personality Victory very realistic. Red therefore becomes quite reasonable, but to best capitalize on his abilities, you'll find yourself running a lot of minimally effective blocks. They will all give you anger on 1/3, and can be discarded for 2/4. 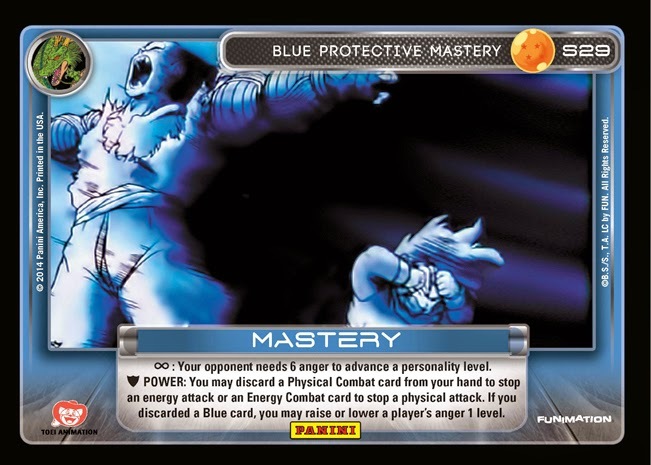 Blue's combination of defense by the mastery & discard benefits also play perfectly to Frieza's effects. Black does bring a decent amount of 2-anger cards and more good blocks. Orange is the most underwhelming, but it will at least give you something to do with those non-Combat cards when defending. Orange does have a couple defensive drills that would surely be helpful. Gohan: Gohan is surprisingly well-suited for most styles. 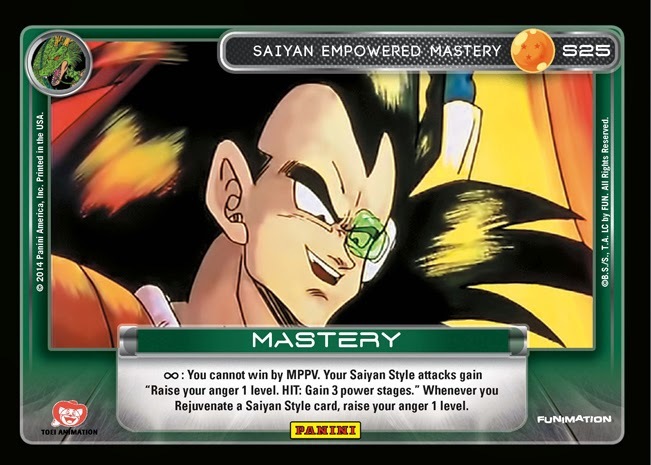 Level 1 does what Saiyan already does, fills up early rejuvenation fuel for Namekian, and potentially puts drills in your discard pile for Orange. Level 2, while physically weak, really works just fine for all styles. +2 life cards for all styled attacks is always awesome, even though the more physical styles would prefer power stages. Level 3 demands anger. This fits well with Red & Saiyan. You wouldn't want to pay it for Namekian though, since level 4 makes essentially an instant win there. 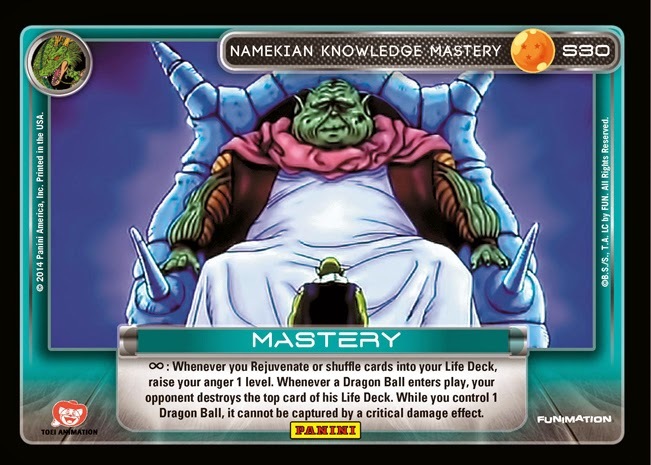 It creates a functionally infinite loop with the Namekian mastery, as long as you have 4 cards that reference anger in your discard pile. Otherwise, Red & Saiyan will also benefit very well from level 4. His disadvantage is in his lack of physical power, so whatever you do for attacking, it will probably be more focused on energy. 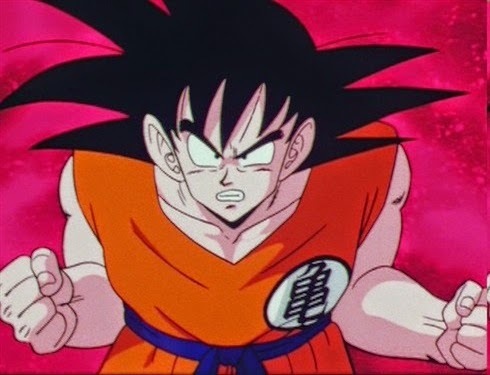 Goku: Obviously, Goku is screaming to be played in Orange. Drills are Orange's main thing, and they're definitely Goku's thing. Goku allows Orange to do exactly what it was primarily designed to do at its core. That doesn't necessarily mean it's what's best for him, though. Going Orange means probably going energy (it can do physical, just not well). That makes his tremendous power level little more than a buffer. You can go with a different style to favor physical and a couple good drills. Goku will allow you to consistently keep those few good drills available. Krillin: You can see the clear design choice to make Krillin for Black, but he really doesn't have to be there. If you run him in Black, the opponent is probably going to value all of their cards in hand. They'll want to keep an energy block at all times, but running Black, this may not always be possible. With as many discard effects as Black has, it's entirely realistic that you can slaughter their whole hand, and then his level 3 hits for unreal damage. 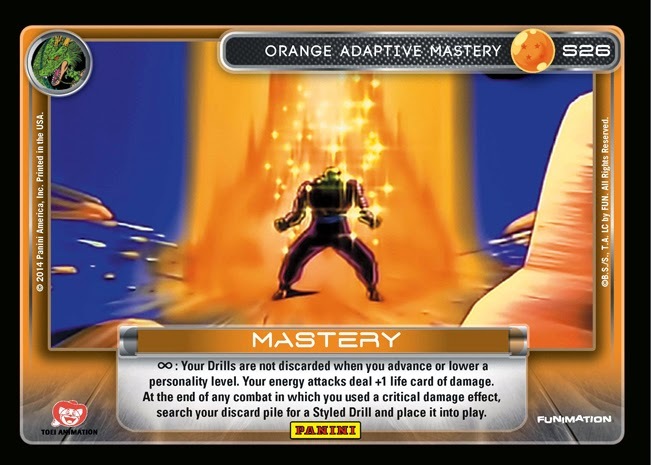 Level 4 is much more realistically reached through Orange with Orange Devouring Drill. Orange has always been a classic style for Krillin, because it emphasizes energy. Krillin's never had much to offer in terms of physical power. 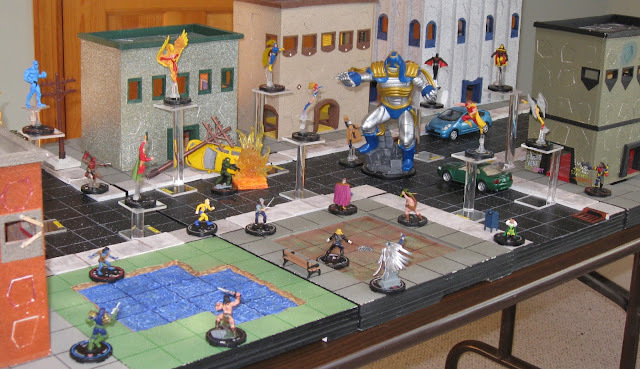 Blue may be your style of choice if you opt to go for a hero ally deck. No hero has an ability that automatically brings allies into play like Captain Ginyu. Overwhelming Attack helps, but you'd really need Blue's ally effects to reliably play them all out. You won't need much as far as power reduction as long as you stay at level 2 (which for Krillin is really easy to reach). A full squad of hero allies actually has more attacks than the villain allies. They're all energy though, so you might need to give combat a rest for a while before unleashing again. Piccolo: Piccolo was clearly made for Namekian. As well he should be, given the lack of options for that style. 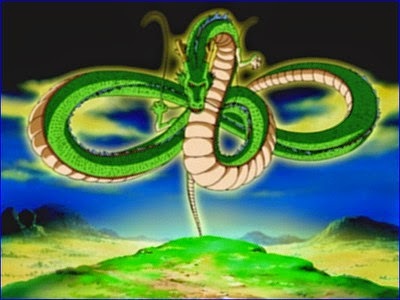 The first two levels rejuvenate, and the other two require Dragon Balls to be effective. His difference over Gohan is he gets to be somewhat more physical, but he also employs a bit more "trickiness." Outside of Namekian, his level 2 really seems to be best for him. Black would seem to work well for him, mostly through his level 2. Level 1 is still nice, but 2 truly does what Black does best. It passively hits the opponent's deck, and though Blue does it better, some Black cards even benefit from being discarded. That said, when you do play Blue, you'll have so many effects begging you to discard from card effects that you can make truly amazing plays. I'm kind of drooling at the prospect of discarding Blue Guard and drawing 2 cards as a result. Did you also notice that it lets you apply a critical damage effect? I don't think Red is generally a great style for him, but this would definitely be a boon for you. His other levels all work out nicely for an Orange deck as well, either supplying extra energy attacks (because Orange is all about that) or just making all of them better. Level 2 doesn't help quite so well in Orange though, other than allowing you to discard dead draws. Trunks: The abilities are just screaming for Black. Black is all about manipulation, and his effects are all deck manipulation (plus a little banishment for kicks). However, deck manipulation works well for anyone. It just demands a lot of combat to get consistent use, and nobody likes combat more than Saiyan. Trunks allows you to enter combat much more freely past level 1, either setting up inferior draws for your opponent or giving you more cards with which to attack. Stacking the opponent's deck will also give you generally 75% certainty of the opponent's hand (they'll probably have one left you don't necessarily know), so no need for some dumb Blue Mental Drill shenanigans. Trunks' high power level also means you should probably go physical. Black & Saiyan are ideal, but with a high power level & a universally useful ability, you can't really go wrong with anything physically aggressive. Vegeta: I was a little surprised to see that Vegeta is comparitively just in the middle for power. This would explain why Vegeta's Anger exists, to ensure he never loses his pride. He's really designed to work for the Saiyan style with literally all of his effects working with anger. Combined with Vegeta's Anger to make sure you never get overpowered, you can throw in absolutely every "superior power" effect available. Red becomes a seriously powerful consideration, as well. The only problem with Vegeta is that you really need as many attacks that increase anger as possible. This makes deck building stupid easy. So there you are, some basic ideas for how this game "should" play out. I absolutely love that all of the styles really have their own things fleshed out and there is a minimum of true garbage. Veterans will already be mostly aware of these ideas, but for those just getting into the game, I hope it helps you figure out an initial base. Next time, I hope to go over the game's mechanics, so you can be sure you're playing the game properly. I enjoyed your article, as a new player it was very beneficial. Have you considered doing a followup to include the new MPs from the other 2 sets?